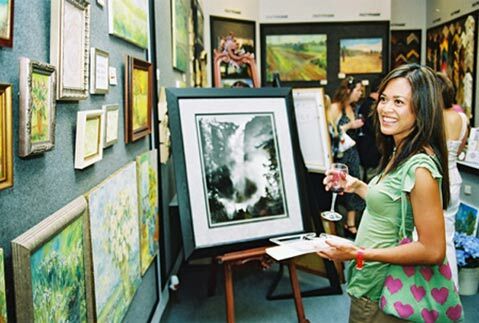 Thursday, May 24, don’t be surprised if you see many folks looking happily sated by art, wine, and food on our streets, for that’s the date of the 2012 Downtown Art & Wine Tour. You might as well join the fun of this self-guided tour of art galleries and restaurants, from Bella Rosa Galleries to Sullivan Goss. “The tour will showcase brand-new venues, wineries, and restaurants, as well as a new Final Party location, the elegant Santa Barbara Club,” said Ashleigh Davis, marketing director for the Santa Barbara Downtown Organization. “This exclusive downtown event is sure to provide a refreshing experience for this year’s attendees.” That final party features more food, more wine, live music, and dancing, plus a silent auction and raffle to benefit the 60th Annual Downtown Holiday Parade in December. Advance ticket purchase is necessary, and the $60 ticket can be purchased at the Arlington Theatre Ticket Agency. For info, call (805) 962-2098 x22 or visit santabarbaradowntown.com.